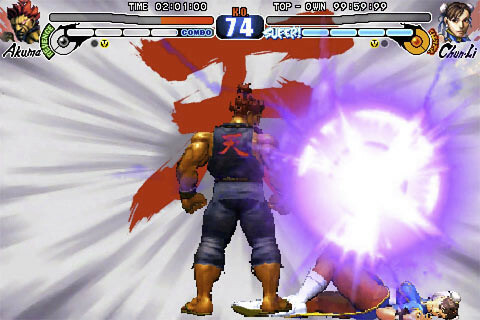 Good news to all Street Fighter 4 Volt fans who owns the game on the iPhone. 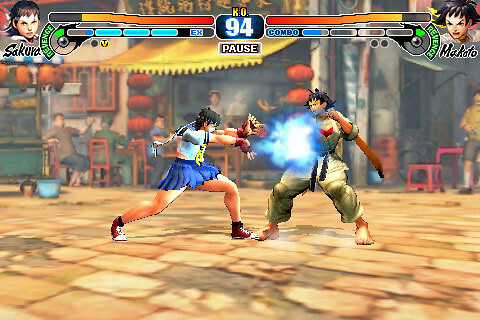 Capcom is planning to introduce some new characters to the iPhone game soon and the first to appear for Street Fighter IV Volt will be a pair of female fighters, Sakura and Makoto. Sakura has been a favorite from the Alpha series and Makoto made her first appearance in Street Fighter III: 3rd Strike. Besides the addition of 2 new characters, Capcom has also made it easier to unlock Akuma. Ryu > Abel > Guile > Cammy > Ryu. Pause for about a second at each character and then when you return to Ryu, tap on him again to reveal Akuma which will be unlocked permanently from then on. So there you go. If you haven’t got SF4:Volt yet, please get it from the AppStore and challenge me! My Gamecenter ID is “smashpop”. 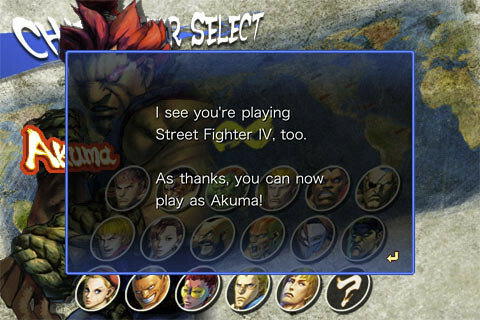 3 Responses to "Street Fighter IV Volt Getting 2 New Characters & A Tip for Unlocking Akuma"